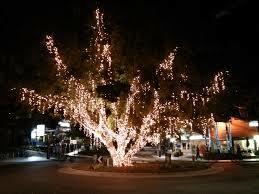 Noosa on the Sunshine Coast offers a great range of festive season events and combined with resort accommodation, you are bound to enjoy a relaxed holiday. With Hastings St adorned with lights and Christmas decorations including a striking Christmas tree as you enter the Hastings St round-a-bout, it is not hard to get in the spirit of this time of the year. There are a number of Christmas activities to be held in upcoming weeks including the annual Noosa Boat Flotilla on the canals of Noosa. Join with locals as they watch the procession of decorated vessels led by the local Coast Guard to the beat of the Noosa Waters African Drummers. A family favourite event, Carols on the River is to be held on Sunday the 22nd. Held in the Lions Park in Noosa, this family friendly free event is a popular event. Combine this with Noosa Resort accommodation at South Pacific Resort and you’ll be in holiday mode before you know it. South Pacific Resort offers a great range of fully self contained bungalow style apartments set in stunning landscaped gardens. Each bungalow complex is named after one of the South Pacific Islands and is set around one of the four resort swimming pools. These fully air conditioned apartments feature full kitchen and laundry facilities, a spa bath and balcony. With an on site restaurant open 7 days a week for breakfast and lunch as well as a day spa, you may never want to leave. If you do step foot our of the resort you will find this resort is located close to a great range of cafes and restaurants, Gympie Terrace and the Noosa River and Hastings St in the heart of Noosa. Ring us today to secure your Noosa Resort accommodation for the upcoming festive season.